To eat well is to live well and no more important is it than when you are on holiday. Unni's style is a fusion of tradition meals with an eye catching and sparking presentation. But it's only when you take your first bite of each course that you appreciate you are in a restaurant that cares about it's cuisine, and you are able to explore the obvious and many new tastes. Unni's on Phi Phi Island takes the high ground and aims successfully to provide a dining experience well beyond the norm. Unni's 2008-2009 menu, printed out below, has a Mexican and western bias but also delights the tastes with some classic Asian and Thai dishes. The wine selection is excellent and well worth a browse if you like to complement the food. 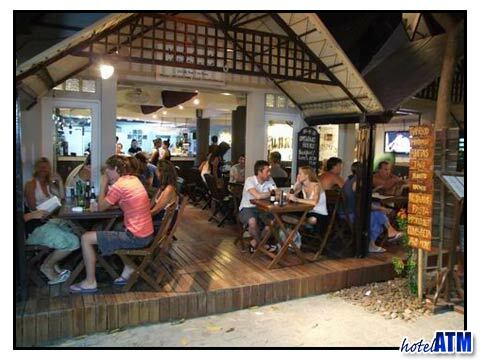 Unni's atmosphere mirrors the general mood of Phi Phi Island which is happy and light hearted. There is no formal dress code and though the setting could easily take smart casual wear, most are wearing an easy going beach style. Unni's evening menu has a popularity second to none on the island and so it is worth dropping in during the day and reserving a table. The owners of Unni's, Pontus Lexberg and Unni Abusdal, entertained me last October on one of my recent trips to Phi Phi Island and impressed on me the value of the team that worked for him and made the restaurant such a success. Without the hard work of the chefs and waitresses and importantly the office that sources the ingredients from Phuket and it would be difficult to produce the dining experience. The Imported Australian Strip loin beef steak with Béarnaise sauce was a particular pleasure and though it necessitated more work in the gym, the cheese cake with strawberry coulee was a classic and a surprise to me this far from America. This is an easy recommendation. 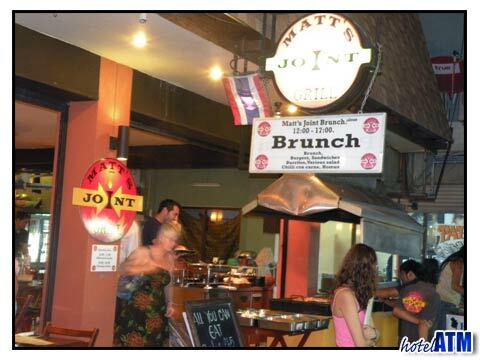 The restaurant is in the main village of Phi Phi Island about 200 meters the pier near on the street leading from the entrance to PP Palmtree Resort.